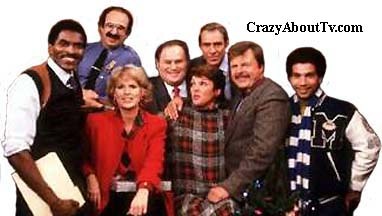 The Cagney And Lacey TV show was a 60 minute police drama series on CBS about a two female detective team. One had a firm approach to their jobs and the other was more calm and understanding. This made it possible for them to help each other in the various situations they encountered on the job and in their personal lives. Sharon Gless was not the first Detective Christine Cagney. Loretta Swit played the role in the TV pilot movie and Meg Foster was Cagney in the first regular episodes. Sharon Gless replaced Foster after the first few episodes. The Cagney And Lacey pilot got huge ratings when it aired so CBS rushed it into production in time to air in mid-season. The ratings were very poor and CBS decided that the two main characters (Daly and Foster) were too "hard"; in other words, too "women's lib" and not feminine enough. When Meg Foster was replaced with the very feminine Sharon Gless ratings improved slightly. The show also got a lot of attention over the anti "women's lib" casting decision. CBS decided that it wasn't enough improvement and canceled Cagney And Lacey. There were so many complaint letters from hard-core fans that CBS changed their minds and the show went on to become a hit and aired for 5 more seasons! The women's lib contraversy was well deserved. While explaining the reason for hiring Sharon Gless, an unnamed CBS executive said the following in an interview with TV guide, "They were too harshly women's lib, too tough, too hard and not feminine. The American public doesn't respond to the bra burners, the fighters, the women who insist on calling manhole covers - people hole covers. We perceived them as dykes." Tyne Daly's brother is Timothy Daly ("Wings" and "Private Practice")! She is also the granddaughter of former Supreme Court Chief Justice, "Earl Warren"! Then years later, Tyne starred on the series, "Judging Amy (1999)" as the mother of a Judge. Sharon Gless and the producer of Cagney And Lacey, Barney Rosenzweig married in 1991. Sharon's grandfather, Neil McCarthy, was an entertainment lawyer who represented Louis B. Mayer, Cecil B. DeMille and Howard Hughes! Sharon has the distinction of being the last performer to work under a standard studio contract! She signed a 10-year contract in 1974 and eight years later in 1982, all others had expired. For every single one of the full seasons on the air, one of the Cagney And Lacey lead actresses won the Emmy for Best Actress in a drama series! Tyne Daly won four times and Sharon Gless won twice! Thank you for visiting our Cagney And Lacey TV show page!